Reigning flyweight champ Demetrious Johnson vs. Ali Bagautinov might not be the most box office main event in the history of ever, but it is UFC 174‘s featured attraction, nonetheless. 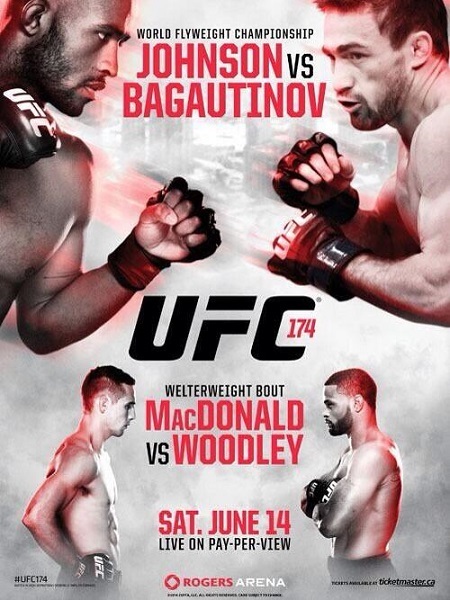 On the flipside, the co-main event with Rory MacDonald and Tyron Woodley ain’t too shabby. Although they’re not featured in the billboard above, Ryan Bader against Rafael “Feijao” Cavalcante could also be quite the barnburner. The June 14 takes place inside Rogers Arena in Vancouver, Canada.